Stærð þessarar PNG forskoðunar á SVG skránni: 800 × 533 mynddílar. Aðrar upplausnir: 320 × 213 mynddílar | 640 × 427 mynddílar | 1.024 × 683 mynddílar | 1.280 × 853 mynddílar | 900 × 600 mynddílar. Uppruni Based on this CONSTRUCTION SHEEET (Vexilla Mundi). Höfundaréttshafi See File history' below for details. núverandi 23. febrúar 2019 kl. 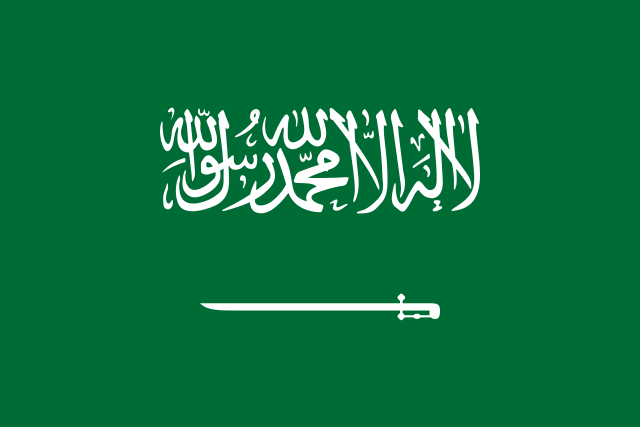 14:44 900 × 600 (18 KB) FDRMRZUSA Corrected proportions for "inscription" and "sword", according to related construction sheet at this web site [http://www.vexilla-mundi.com/saudi_arabia_flag.html] (Vexilla Mundi). Optimized svg code. No other changes. 14. janúar 2019 kl. 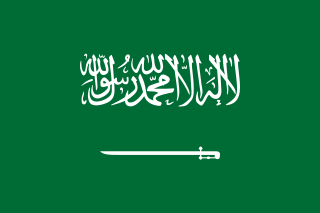 16:28 900 × 600 (18 KB) FDRMRZUSA Fixed and "svg" code cleanup. No other changes. 5. janúar 2019 kl. 16:53 900 × 600 (18 KB) FDRMRZUSA Higher resolution from same file: resized by "Inkscape". Same proportion: 2:3. Reduced code. No other changes.